Rectangular Rapid Flash Beacon from Dornbos Sign & Safety Inc. 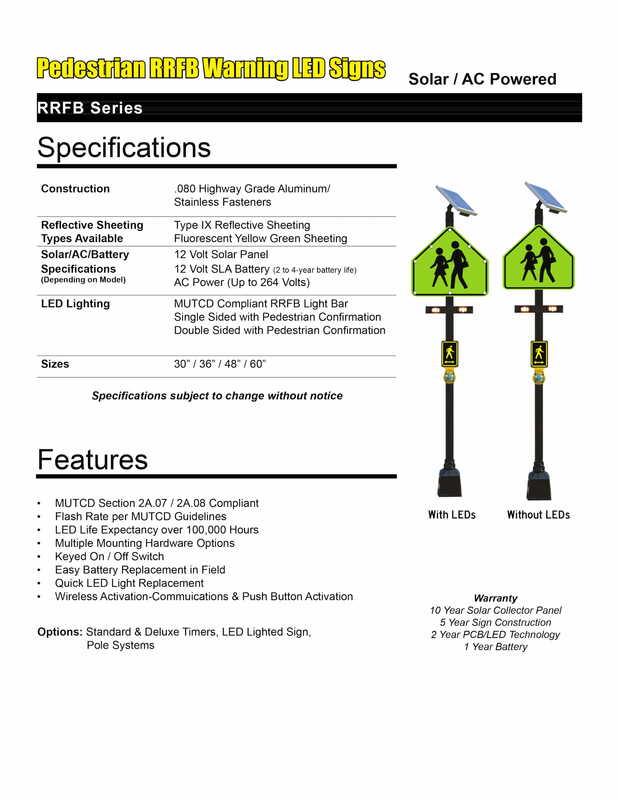 The Rectangular Rapid Flash Beacon (RRFB) offers increased sign visibility both day and night. Solar Powered LED Flashing Traffic Signs. existing aluminum signage or to one of our Solar Powered LED Flashing Traffic Signs. aluminum signage or as an added feature to one of our Solar Powered LED Flashing Traffic Signs. Includes 5" x 7" Pedestrian Sign.